The Oppo K1 is a practical alternative to the Redmi Note 7 Pro and the Galaxy A30. The Oppo K1 offers a few interesting features to keep a user satisfied. The attractive gradient design and teardrop display is a nice sight to have every time you pick up the device. The AMOLED panel offers rich, vibrant colours and sharpness, which makes it great for watching videos and playing games. The Snapdragon 660 is a smooth and powerful chipset that is capable of handling whatever you throw at it, while at the same time keeps the Oppo K1 cool from the inside. All of which makes the Oppo K1 a very good debutant for Oppo’s new K series of devices. The big question, of course, is: should you be investing Rs 16,990 in it? Well, Oppo deserves credit for taking on the likes of Xiaomi, Realme, Honor, and Nokia with a device that is not really a “me-too” one. The K1’s troika of AMOLED display, in-display fingerprint scanner, and drop notch are not commonplace at its price tag. And allied with a good processor and decent cameras, it is quite a formidable proposition. Yes, it does cost more than the likes of the Realme 2 Pro, the Nokia 6.1 Plus and the Redmi Note 6 Pro, but it does also legitimately bring more to the table. It is priced just above the Rs 15,000 price segment, but if marketed well, it could be a headache for all its members, and even its own successors, considering the benchmark it sets. For, the Oppo K1 does not try just to compete in its price segment but also to redefine what people expect in it. 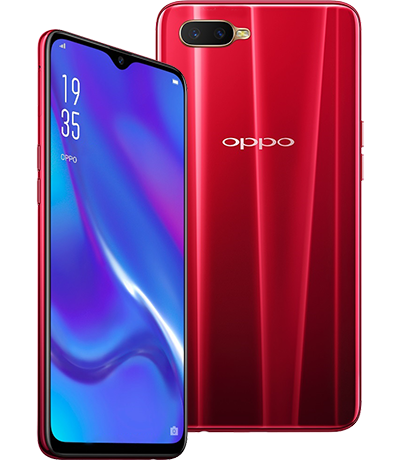 Oppo K1 is a mid-range smartphone that offers its users a lot of good features along with a decent in-display fingerprint sensor at Rs 16,990. During the review period, I was personally quite impressed by what the device could do at such a price point. At the price, it has great performance, a good battery, impressive cameras and much more. It is also the cheapest smartphone you can get with an in-display fingerprint sensor. 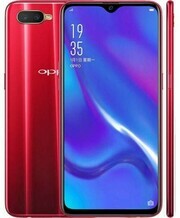 Keeping in mind that the Oppo K1 is the only phone with an in-display fingerprint sensor in its price band, the launch price of Rs. 16,990 is not too bad. We hope it will drop eventually and fall in line with other Snapdragon 660 powered smartphones with comparable RAM and storage configurations, such as the Realme 2 Pro (Review) or the Vivo V9 Pro ₹ 15,388 (Review). 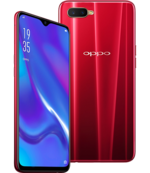 It’s never been a better time for mid-range smartphone users, and the Oppo K1 represents another great option for prospective buyers. The phone looks plenty good, is powerful enough and has a great screen to boot. The in-display fingerprint scanner is a cool addition that should sweeten the deal. The phone is priced at 16,990 rupees (~$240) making it a fantastic option for users in the sub 20,000 rupees (~$280) segment. OPPO K1 is using a powerful processor, looks premium and gives a decent battery life of one to one and a half days with mixed usage. Another very good handset to buy if you are looking for power with powerful looks.